CONTROLS ALGAE in Swimming Pool Water. 1. Initial dosage for pool water having no visible algae is 50 mL of END ALGAE 40 per 10,000 L of pool water. 2. Weekly maintenance dosage is 25 mL of END ALGAE 40 per 10,000 L of pool water. 3. For pool water having visible algae, superchlorinate following label instructions of superchlorination product employed and wait at least 24 hours before adding weekly maintenance dosage. 4. For visible algae, when superchlorination is not employed, add 125 mL of END ALGAE 40 per 10,000 L of pool water. 1. 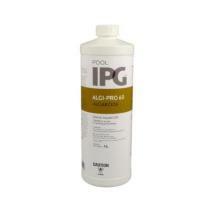 Initial dosage for pool water having no visible algae is 100 mL of ALGI-PRO 40 per 10,000 L of pool water. 2. Weekly maintenance dosage is 35 mL of ALGI-PRO 40 per 10,000 L of pool water. 3. For pool water having visible algae, superchlorinate following label instructions of superchlorination product T.N.T. and wait at least 24 hours before adding weekly maintenance dosage. 4. For visible algae, when superchlorination is not employed, add 150 mL of ALGI-PRO 40 per 10,000 L of pool water. 1. 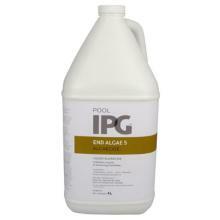 Initial dosage for pool water having no visible algae is 70 mL of ALGI-PRO 60 per 10,000 L of pool water. 2. Weekly maintenance dosage is 25 mL of ALGI-PRO 60 per 10,000 L of pool water. 4. For visible algae, when superchlorination product is not employed, add 100 mL of ALGI-PRO 60 per 10,000 L of pool water. Do not mix with any other chemical. 1. Initial dosage for pool water having no visible algae is 130 mL of ALGIKILL 600 per 10,000 L of pool water. 2. Weekly maintenance dosage is 45 mL of ALGIKILL 600 per 10,000 L of pool water. 3. For pool water having visible algae, superchlorinate following label instructions of superchlorination product employed and wait for at least 24 hours before adding weekly maintenance dosage. 4. For visible algae, when superchlorination is not employed, add 200 mL of ALGIKILL 600 per 10,000 L of pool water. Kills algae in swimming pool water in only one operation. Prevents algae growth in water. When applied to contaminated pool PERMA PLUS will kill algae gradually (over several days). Initial and subsequent applications of PERMA PLUS dependents upon the water conditions, amount of algae present and the pool usage. 1. For best results, maintain the recommended pH, Total Alkalinity, Calcium Hardness, chlorine (or other registered disinfectant) and copper levels correctly balanced. Adjust chlorine level to a maximum of 1.5 ppm. Monitor these key water parameters using an adequate test kit. 2. Initial dosage for pool water having no visible algae is 175 ml (200 g) of PERMA PLUS per 10,000 L of pool water. Do not superchlorinate after use of this product. 3. Weekly maintenance dosage of PERMA PLUS should maintain 0. 5 to 1 ppm of copper. 1. Initial dosage for pool water having no visible algae is 400 ml of END ALGAE 5 per 10,000 L of pool water. 2. Weekly maintenance dosage is 200 ml of END ALGAE 5 per 10,000 L of pool water. 4. For visible algae, when superchlorination is not employed, add 1 L of END ALGAE 5 per 10,000 L of pool water. 1.For visible algae, when superchlorination is not employed, add 500 ml of END ALGAE 10 per 10,000 L of pool water. 2. Weekly maintenance dosage is 100 ml of END ALGAE 10 per 10,000 L of pool water. superchlorinate following label instructions of superchlorination product employed and wait at least 24 hours before adding weekly maintenance dosage. 4. For visible algae, when superchlorination is not employed, add 500 ml of END ALGAE 10 per 10,000 L of pool water. 1. Initial dosage for pool water having no visible algae is 135 ml of END ALGAE 15 per 10,000 L of pool water. 2. Weekly maintenance dosage is 70 ml of END ALGAE 15 per 10,000 L of pool water. 4. For visible algae, when superchlorination is not employed, add 335 ml of END ALGAE 15 per 10,000 L of pool water .